This is the first beer that my daughter Frances and I brewed since we moved to Lancaster Co. We brewed this back in August 2014. I forced carbonated and kegged it by Labor Day weekend. I little rushed with only 2 for 3 weeks from kettle to keg. Tragically it seems that I lost my brew day notes for this Belgian Pale Ale. The original folder with my brew notes is corrupted and un–readable so I only have my original recipe sheet and not my final gravity and ABV. Several months ago in late October, I bottled the last 3 bottles from the Keg. I gave away 2 of them away and kept one to mature a little. This review is that last bottle. The beer pours a rich golden color with copper hues and a bright white head. The nose is nice with those classic sweet Belgian yeasty notes. There are also nice light to caramel malt aromas with sweet fruity notes on the nose. The taste is not too bad. Sweet light malt flavors cover the tongue up front on the sip. The back end is very easy drinking with an almost effortless swallow. The finish is nice with sweet almost caramel malt flavors and those classic sweet fruity notes and esters with a touch of spice. I am finally pleased with the taste of this homebrew. I was never really happy with this beer before, not that it tasted bad but it was not as pleasant as I thought it should be; there always seemed to be a touch of harshness with it. All of that has changed with time. This was brewed in late August. It is finally aged to the point that the malt flavors have finally matured and developed. I can finally say that I’m pleased with this home brew. 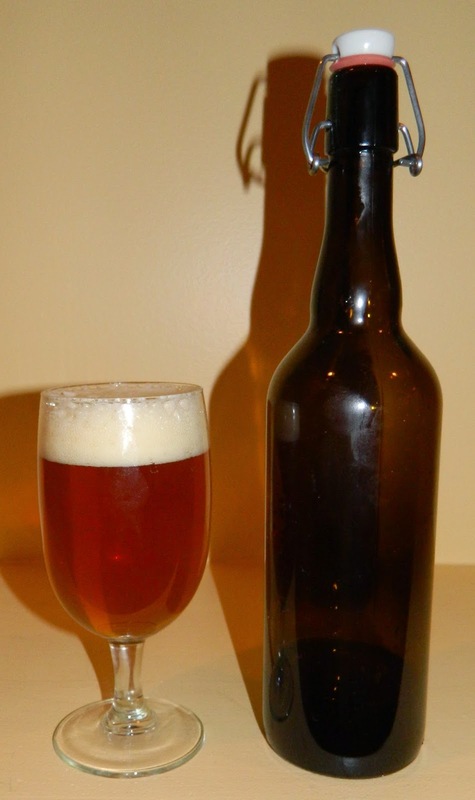 This turned out just like I wanted; a simple easy drinking Belgian Pale Ale with a touch of character.